A smooth, easy clean finish and a fabulous choice of designs make Bushboard’s Nuance panels the perfect choice for luxury bathrooms. 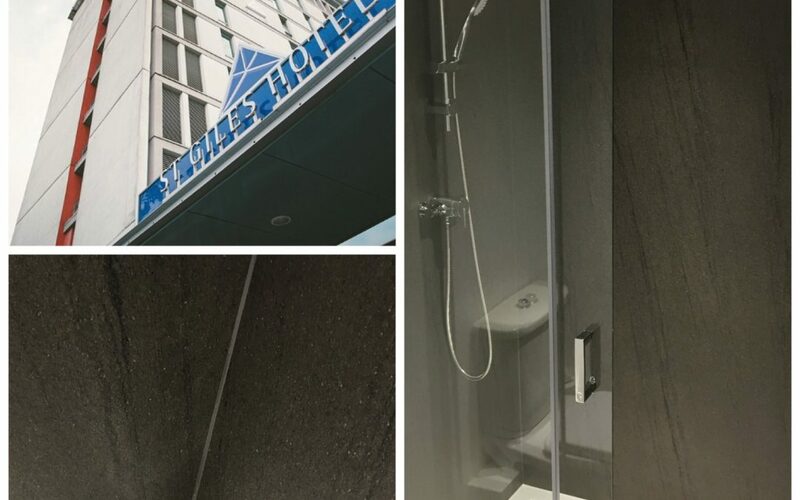 Prestigious interior design company Fileturn www.fileturn.co.uk chose Nuance panels for the refurbishment of the St Giles Hotel. The designers wanted to create bathrooms that looked stunning, were unique but met the practical needs of running a hotel. 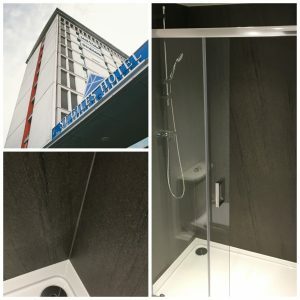 Rooms out of service are a major cost for hotels so the quick turnaround possible when Nuance is used rather than traditional time consuming and messy tiling is welcome news for designers and their customers. Bushboard provides a 48-hour free of charge sample service so design decisions can be made quickly. Using Nuance panels is six times faster than traditional tiling. Bushboard Nuance postformed and standard tongue and groove panels are completely waterproof and are seamlessly joined using BB Complete adhesive. The panels have a 15-year guarantee to give complete peace of mind. Bushboard is an innovator in surfacing and strives to develop new materials, manufacturing processes and installation techniques that make aspirational products more affordable. There is a dedicated specification team to help contractors from the start of a project right through to successful completion. Trial bathrooms are also available for contractors and specifiers working on multi-room projects.